Benefitting from all of the qualities which makes mild steel such a popular material in many industries - galvanised mild steel tube is terrifically strong yet very versatile. The higher carbon content makes the steel more malleable, which means it is easier to fabricate to suit almost any fabrication. Mild steel tube is a popular choice of material for use in the construction of roll cages, frames, trailers and fencing, and a galvanised finish makes steel especially suitable for outdoor use. 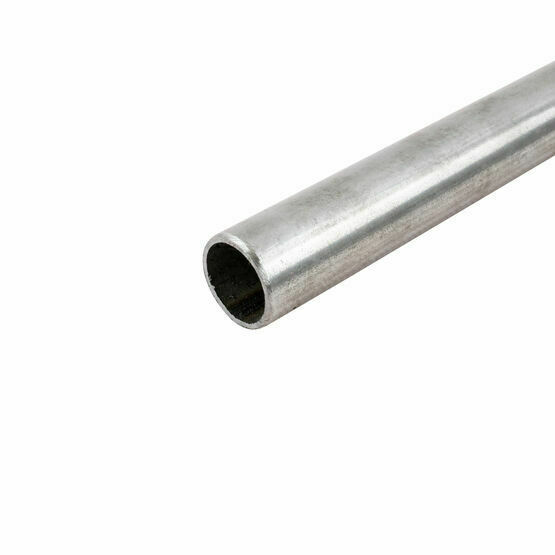 Our cut to size galvanised steel tube has been treated to resist oxidisation. This treatment can be identified by the crystallisation patterning on the surface of the metal, which is sometimes called a ‘spangle’. This pattern is commonly found on steel tube used in fencing applications, steel sheet used in body panels and on other objects constructed from steel such as lamp posts and motorway reservation barriers. Order your galvanised mild steel tube from Austen Knapman and it will be delivered cut to size ready for use. Simply enter the dimensions of the steel tube you require into our website to receive an instant on-screen quote for your order!